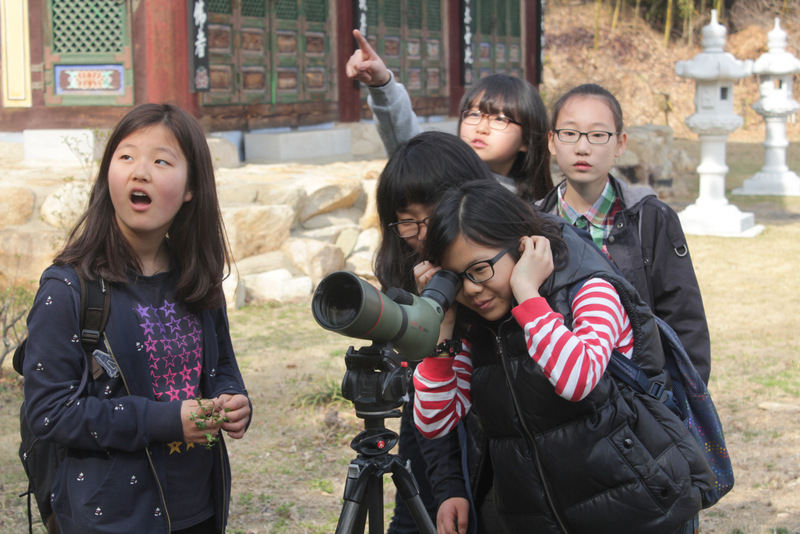 As part of my Pledge to Fledge, I asked a few of our students and our Grade 6 English teacher, Mr. Min Sung Eun, to join me for an afternoon of birdwatching. He was so pleased with the experience that we’ve now started rewarding our best classes with a field day of birdwatching. We take our first walk together next week.